According to the most recent Motor Vehicle Safety report, 5,376 pedestrians were killed in a Traffic Accident in the United States. An additional 129,000 injured pedestrians were treated in an emergency room. These frightening accidents occur far too frequently and are often preventable. 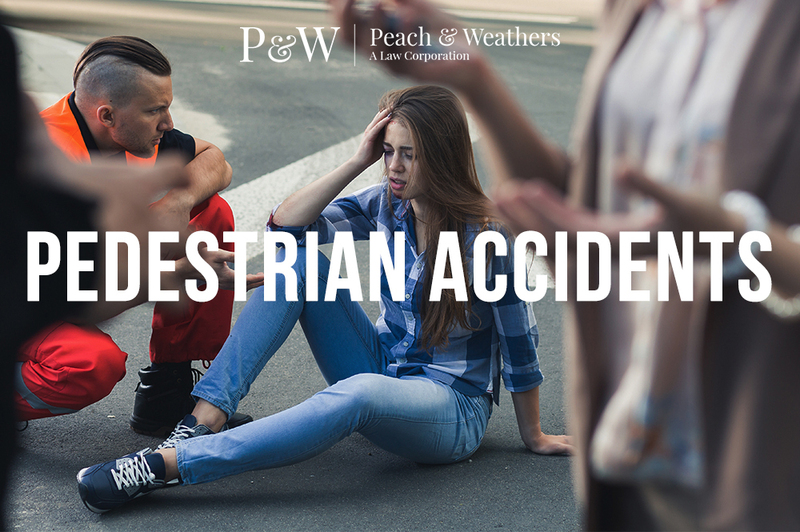 We at Peach and Weathers law firm are committed to holding motorists accountable for negligent driving in the case of an accident involving a pedestrian. Generally, those who are on foot have the right of way. In any designated crosswalk or intersection marked by a traffic light or signal, motorists are required to yield to pedestrians. An accident here will render the driver legally obligated. However, in the case that a pedestrian crossed at an undesignated crosswalk, he or she may be at fault. Often, the question at hand considers the negligence of the driver which is determined by their breach from a reasonable action in a similar situation. Negligent acts of a driver might include illegal U-turns, speeding and failure to yield. A motorized vehicle may not always be to blame in a pedestrian accident. Crumbling and uneven sidewalks and even parking lots are considered hazardous to pedestrians. In the case that a person on foot was injured due to the inadequacy of a property’s conditions, the owner may be legally responsible. When you’re behind the wheel, keep in mind the importance of defensive driving. Non-motorists in the road, including cyclists, runners, people with strollers and in wheelchairs, are unprotected and especially vulnerable on a busy highway. Maintain your awareness of their potential presence, especially at intersections and crosswalks. And when you do encounter them, be sure to take extra precautions for their safety. If you or a loved one have been seriously injured in a pedestrian accident, it is essential that you seek legal counsel. With over 60 years of combined experience in personal injury law, the Peach and Weathers Law Firm is equipped to assess the circumstance of your case and to recognize the negligence that took place. Please, do not hesitate to reach out with your legal concerns.